SMART worked directly with Microsoft to develop the turnkey solution for meeting rooms that simplifies the collaboration experience for both virtual and face-to-face participants and provides seamless online collaboration through sharing of real-time video, voice and data. 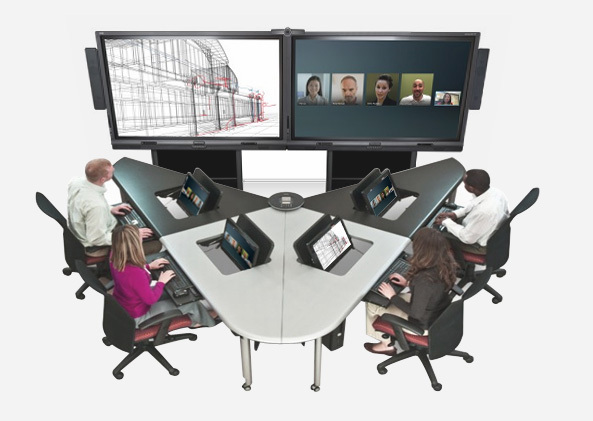 The comprehensive SMART Room System includes one or more SMART Board® interactive displays, an ultra wide-angle, high definition camera offering 109-degree field of view, customized speakers and microphones along with an extra-large room control console with an 11.6" (29.5 cm) display. Each comphonent has been specifically designed and manufactured by SMART for seamless integration ensuring a consistently rich meeting experience that enables productive, dynamic collaboration for all participants.